When J.D. Salinger’s “Hapworth 26, 1924″—a very long and very strange story in the form of a letter from camp written by Seymour Glass when he was seven—appeared in The New Yorker in June 1965, it was greeted with unhappy, even embarrassed silence. It seemed to confirm the growing critical consensus that Salinger was going to hell in a hand basket. Then in one of those monstrous mischances in the secret history of creativity, at a point where the letter should properly end and Seymour should wait to see if he evoked any response, he finds another pad of paper and takes off again, extending the letter almost half its length over in a pompous display of erudition that many commentators have found simply unreadable (110). Salinger attempts to portray Seymour in the process of deepening his awareness. Seymour’s special powers and his special weaknesses apparently must be thought of as emanating from some central force underlying all changing manifestations of reality. But the character that emerges is monstrous, fully as hideous in some ways, as the devil-children in such recent movies as The Omen. What the story does is to emphasize how oppressive as well as potentially enlightening Seymour’s Influence on his brothers and sisters must be. He is a grotesque, but then so are the lives of most saints (149). Surely it would be possible to construe “Hapworth” as a joke, a hoax, or even, as I suggested earlier, an act of authorial contempt designed to deter hopeful (and unswervingly loyal) readers from desiring future productions. But in “Hapworth” Salinger seems serious. As with every other aspect of his professional career, Salinger makes no concessions. In “Hapworth” the reader is blithely disregarded: “Take it or leave it” is Salinger’s unmistakable retort to any grumbles from the nonamateurs among his audience and he seems fairly certain (in deed makes certain) that most of them will leave it. The boy Seymour really is writing to his family. The Glass family has, in this last story, become both Salinger’s subject and his readership, his creatures and his companions. His life is finally made one with art (188). 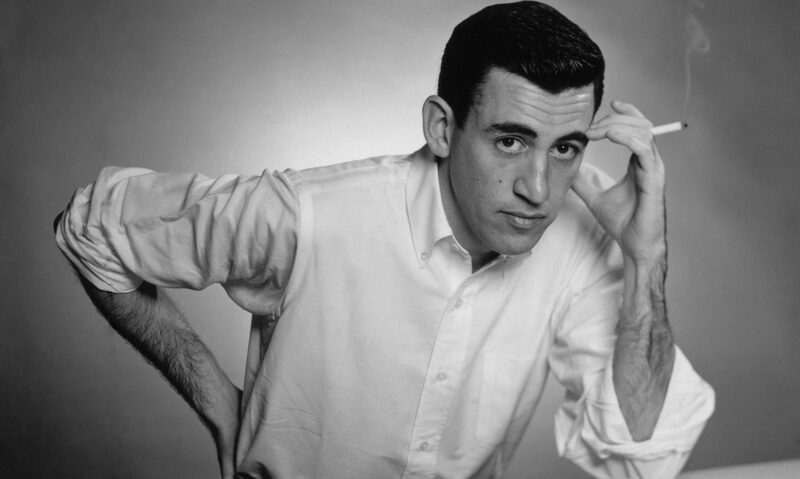 Buddy-Salinger’s resort to the letter of a seven-year-old is a resourceful tactic for giving credence and inevitability, if not esthetic responsibility, to such insouciant dips into the pools of experience. But the trick does not hide the growing desperation of this reliance on the mouth of little babes. The child as a saint grows somewhat stale in repetition—and quite suspicious when, as in this case, he is merely a ventriloquisitic device for the voice and thoughts of the author (61). Although the vast majority of responses were negative there were a few that saw the good in “Hapworth”. In Jack Sublette’s J.D. Salinger: An Annotated Bibliography, 1938-1981 there is a small summary of one positive article in response to “Hapworth”. With the religious themes, strong emotional outpourings and the uncertain nature of the story these words all seem to be serving a very specific role. What is the function of these repetitions? What can be learned about Seymour from this letter? Are there any previously established traits that are reinforced here? 3. In “Seymour: An Introduction” Buddy says that Seymour once woke him to say that “he finally knew why Christ said to call no man Fool” “Christ had said it, Seymour thought I’d want to know, because there are no fools (158).” In “Hapworth” he refers to himself as a “young fool” and “foolish.” At what age do you suspect Seymour had the revelation about Christ and the fact that fools are nonexistent? 4. Is “Hapworth” an effective next step in Salinger’s exploration of the Glass Family and their spiritual journeys or do its “unreadable” qualities prevent further insight into their world? 5. Do you have a hard time reconciling the picture of Seymour you had from “Bananafish,” “Raise High,” and “Seymour” with the Seymour portrayed in “Hapworth?” Do your feelings about him change after reading of his intolerance for other people and his sexuality?